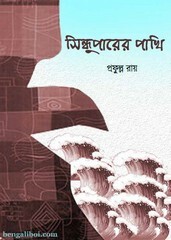 Prafulla Roy is a prominent and well-known writer in Bengali language. His great contribution to Bangla literature for writing novel about refugees life, this great novels are 'Keya Patar Nauko', 'Shotodharay Boye Jay', 'Uttal Samoyer Itikatha', 'Nonajol Mithe Mati'. Today I want to share an another novel of his writing- 'Sindhuparer Pakhi', the author received Bankim award in 1985 for this great novel. Collect the ebook in pdf file. The pdf has 478 quality pages, 24mb file size.